CRD Protection AB is a privately held Swedish company specializing in non-lethal and protective technologies. CRD´s business areas range from military defence to civil security. Our customers have a need for innovative products for perimeter protection, crowd management and non-lethal capabilities. Our product range are Mobile barriers, Head systems, Eyewear, Long Range Acoustic Devices, Remotely operated LRADS and Power banks. ESL Advanced Information Technology GmbH was established in October 15th, 1999 and commenced business operations early in 2000. ESLAIT was previously known as the “Security and Defence” business division of one of the leading Austrian Telecom System Suppliers. The main objectives of ESLAIT are the development and integration of command-, control- and communication systems for both strategic and tactical applications, meteorological systems and security/safety-applications in civil and military area. Hanwha Defense Systems, representing the defense industry in South Korea, has developed highly technical competence in the defense industry for four decades since its designation as a defense industry company in 1973, and has contributed to independent defense capability and peace for mankind. Hanwha Defense Systems has supplied various weapon systems to the whole army in South Korea, including the surface-to-air missile system CHUNMA, the 30mm self-propelled Air Defense System BIHO, 30mm Gun and Missile Air Defense System Hybrid BIHO, the K21 Infantry Fighting Vehicle, the next-generation multiple-launch rocket system CHUNMOO. Our wide range of navigation, positioning and imaging products and services have been devised and developed as a result of our in-house expertise, control of critical technology and extensive manufacturing know-how. iXBlue customers benefit from differentiated values, thanks to our mastery of innovative technologies ranging from photonic components and sensors to advanced acoustic and sonar algorithms, and to the excellent reliability of our fully integrated system solutions. The products we offer in the civil and defense markets provide unrivalled performance and safety, and fast and easy field deployment. This helps to maximize customers’ return-on-investment and to save time during urgent operations. LIG Nex1 is the leading defense company in South Korea. Since its establishment in 1976 as Goldstar Precision, the company has led Korean defense industry by developing and producing state-of-the-art weapon systems in various areas and has contributed greatly in Korea having self-reliant defense capability. Placing customer satisfaction at the top of the agenda, LIG Nex1 will strive to deliver greatest value to all stakeholders and society. The company will also put their utmost effort in becoming global leader in future. Norsafe, Military and Professional has a wide range of boats for military and professional use, and attention is paid to guarantee the highest quality. Only the best craftsmanship, components and materials are used. The boats are specially designed to operate away from shore or the mother ship for extended period of time. Combining superb seaworthiness, maneuverability and high speed, the boats are ideal for all types of assistance, patrols and other special applications. The layout and performance of the boats allow wide ranging functions, including operations in hostile areas. One of the most successful anti-armour weapons ever developed. Savox provides integrated defence communications solutions supporting the mounted and dismounted operations – including future soldier systems – and platform intercom systems for both naval and land applications. Savox product portfolio, including solutions covering defence, covert users, disaster response and fire and rescue sectors, represents a unique spectrum of products to support military, special forces, public safety, first responders and disaster response personnel, as well as working professionals in their daily operations. 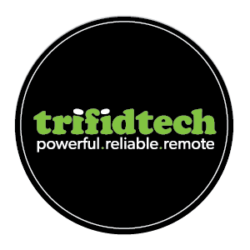 Trifidtech builds heavy-duty NiCad battery chargers with unique remote charging capability. We manufacture and customize our chargers in Canada for military and commercial applications including aircraft engine backup, vehicle starting, and powering electronic equipment. Keeping your batteries charged and ready is imperative. Trifidtech’s NiCad chargers are built to minimize battery stress and charging downtime. With our innovative technology, you can now charge your NiCad batteries over any network, from anywhere in the world. At Vista Outdoor, we understand that as part of the law enforcement community you need gear you can depend on. Every day. At all times. Whether you’re on the street, at the range, or any place in between, count on Vista Outdoor products to perform to the highest standards.